Running commands through the Terminal increases the speed of many tasks. We will explore today how you can quickly play music files (mainly mp3 files) and have the terminal read text in audio form. In this blog post, you will learn how to install 2 different audio software and the different features within in program. 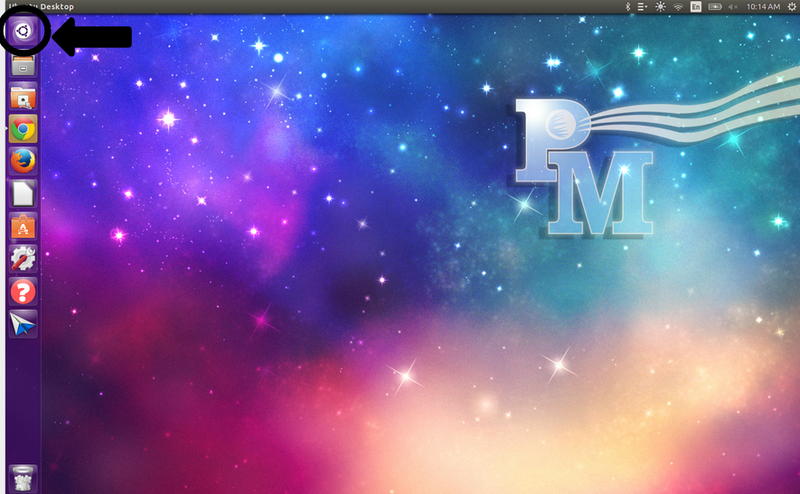 XMMS2 is used primarily for playing music in your music library through the terminal. Begin by clicking on the Dash. Once in the Dash, type in the program “Terminal” and click the icon. You know the installation will be finished when you see this screen. Next to play a song, open Files and go to your music. 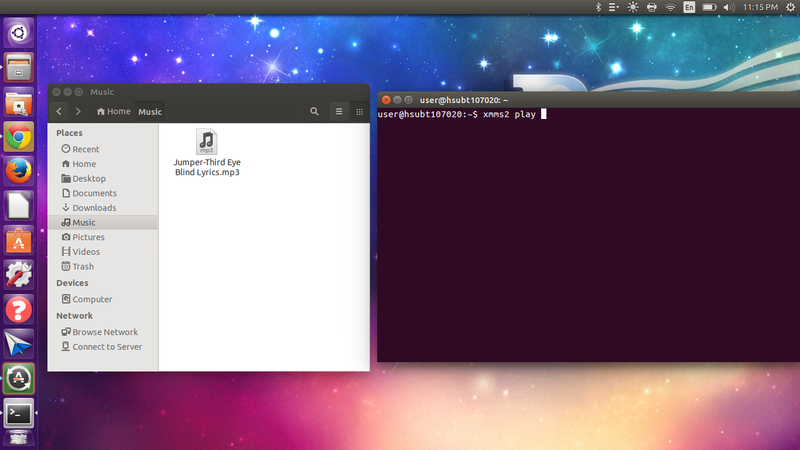 Once you have chosen a song to play through terminal, line the Files and Terminal programs up next to each other. Then type “xmms2 play ” (with a space after it) into the Terminal. 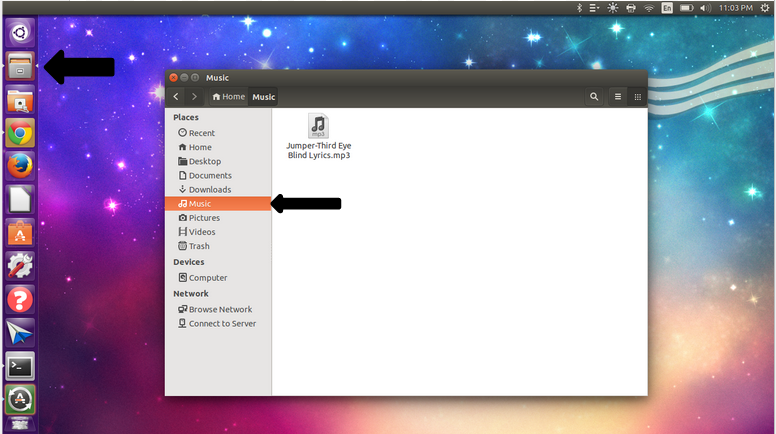 Next, click on the song you would like to listen to and click on it in your Files and drag in anywhere in to the terminal screen and drop it. For me the terminal would now look like the picture below. After pressing enter, your music will begin to play! 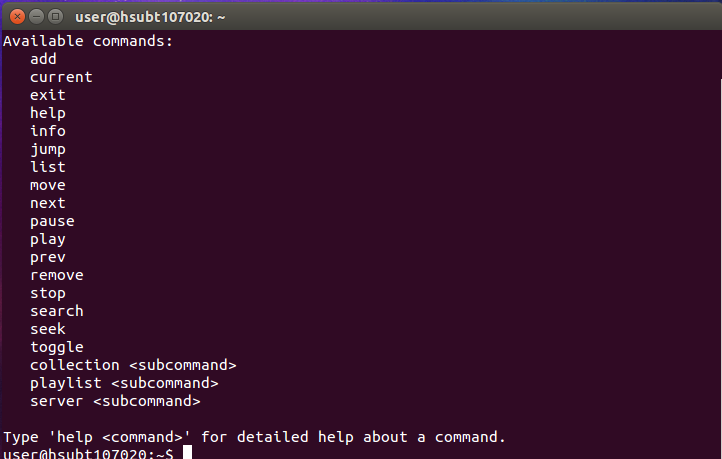 To see other commands type in “xmms2 help” in the terminal and press enter. 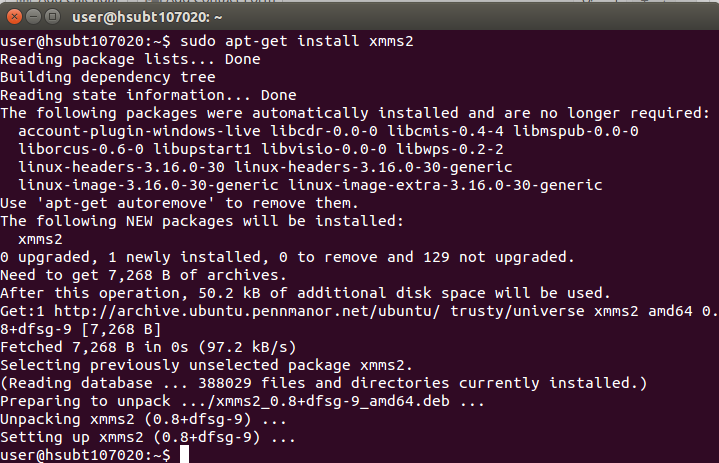 This will bring up the list of words you can type in after “xmms2” to tell the terminal to commands. 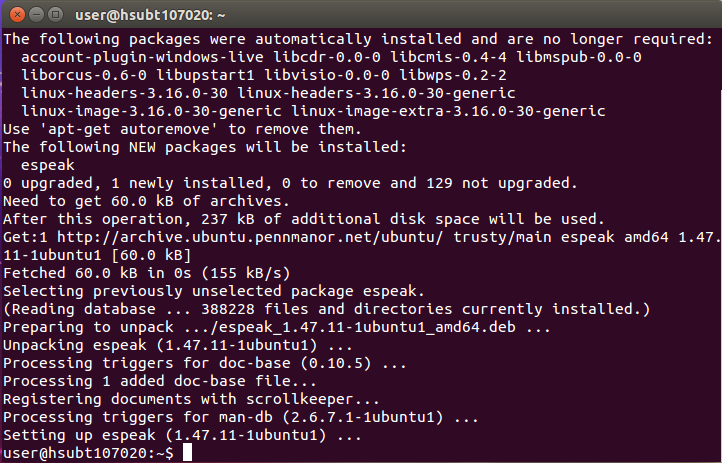 Espeak is a very simple text-to-audio program the terminal that can be used for a multiple of different reasons. To tell the program to speak text, all you have to is type “espeak _____”. In the blank, put whatever text you would like it to say. For example if you wanted it to say hello, you would type, “espeak hello”. Once you type the command in, press enter and your text will play as audio! Congratulations!!! 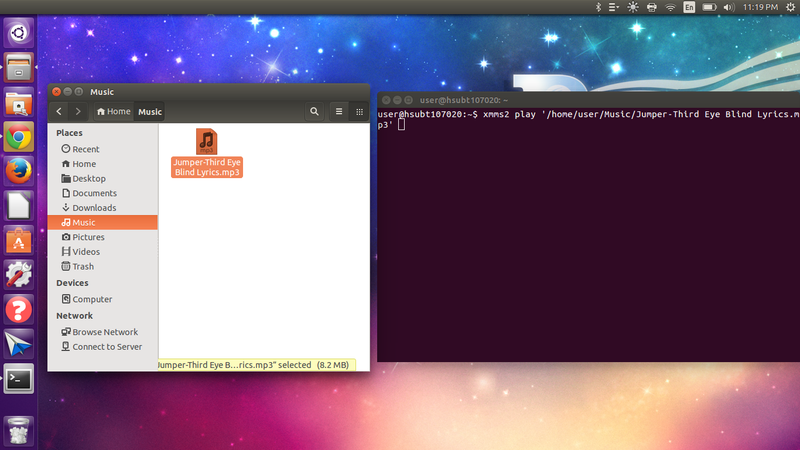 You can now play music and text audio out of the terminal!